This is the weirdest study of I’ve ever come across. 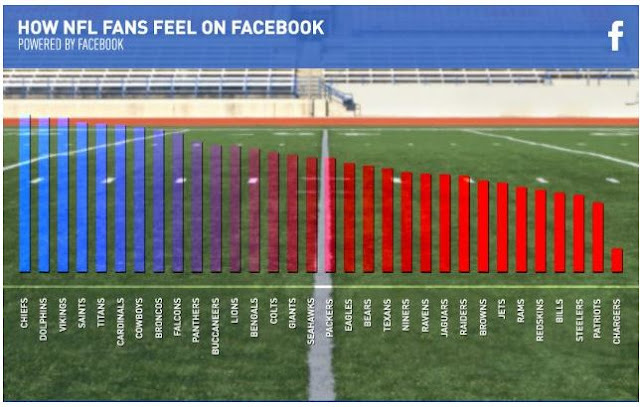 Despite having one of the most dominant organizations in all of pro sports, this Facebook study deemed New England Patriots fans one of most pessimistic in the league. San Diego Chargers fans were ranked as the most negative. 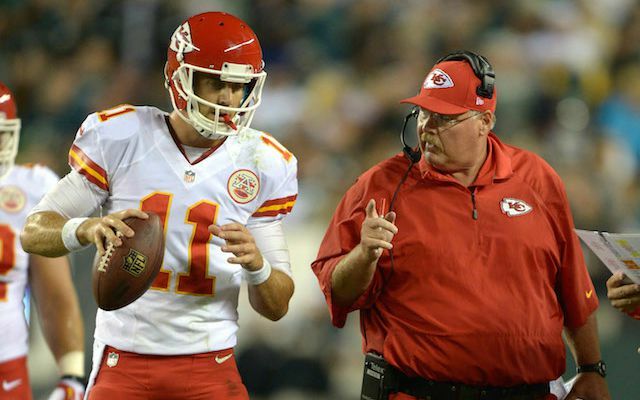 Fans of the Kansas City Chiefs and Miami Dolphins, however, have all the faith in the world despite Kansas City not having won a playoff game since 1994. According to Facebook, the Chiefs have the most optimistic fan base in the NFL heading into the upcoming season. The social media site aggregated all of the posts and comments that NFL fans made on its website from July 22-Sept. 7. Facebook was able to rate the comments made by any of the 49 million people who “like” an official NFL team page on the site. Besides Kansas City, the most optimistic fans were in Miami, Minnesota, New Orleans and Tennessee. It’s hard to fault Titans fans for their optimism; they’re probably just hoping the team does better than 2-14 this year. Besides the Chargers, the least optimistic fans were in New England, Pittsburgh, Buffalo and Washington. Pats fans received their grade while Tom Brady was still suspended, so you can understand the issue.